Regular as a clock and always faithful to his style of Intelligent Cosmic Dance, Moonbooter returns us with his annual 2nd album solo where his beats of dance are fooling around with some good electronic rock which always soaks in atmospheres of Berlin School. And in each of his albums, if my memory is faithful to me, Bernd Scholl manages to stick us a couple of musical itches between our two ears. And “Schwarzmond” doesn’t do exception and starts with strength. After the very ambiospherical introduction of "Praeludium", "Daft Moon" spits its rhythmic poison with heavy pulsations from which every blow rises a line of sequences and its dusts of prism. The title is unequivocal! It’s a hymn of dance with good orchestrations and a very selective approach of the effects on a contagious structure of rhythm. That’s not really my kind, but the fans of Daft Punk here, and all over the album by the way, will be fooled by this so similar mood! Nervous in its static envelope, "Deep Breath" calms the tone with a structure of rhythm which will make our fingers dance more than our feet. Quietly, after the fury of "Daft Moon", Moonbooter slides towards a music of dance more accessible to the fans of a more rock EM which is closer to the roots of Berlin School. A sweet morphic lullaby with a lot of bright stars tones which sparkle and float in a crystalline envelope, "LuLeLa" is the front door of this Moonbooter universe where the borders between pure Dance music, E-rock and ambient merge marvelously. "Epiphany" opens with a cloud of oscillating sequences which pound with a good static pace in the effects, one would say barkings of dogs, and in layers of mist where pearl absent voices. The bass pulsations emerge around the 57th second, giving a look of a hymn of dance and trance where get graft fragile harmonious chords. This semi-ambient phase goes for a structure of dance of the 70’s with orchestral holds which spin on the undulations of a humming line and of clacking percussions. "Nachtvogel (The Birth)" follows with a good passage of retro Berlin School atmospheres with sequences, which make very TD of the Flashpoint years, which are dying in acrid vapors. There is some tension here which gets free of a chaotic and rodeo structure which is "Satellite", a good electronic rock coated of twists and solos of a synth in harmonious mode which decorates a heavy and good spheroidal approach. It’s the kind of title that leaves its imprints in the bottom of our eardrums. "Theia" opens the 2nd part, the most delicious I would insist, of “Schwarzmond” with a solid and very catchy structure like only Bernd Scholl is capable of concocting. The approach is slow and lascivious while hesitating between the winged ballad of orchestral mists and a morphic techno ideal for a cosmic ballad. It’s a wonderful track that stays between our ears for a long time! So long that its flavors go towards the somber "The Raven's Light" which shows on the other hand a good swiftness with a rhythmic crescendo, a kind of bolero, as the seconds run out from the timer. Bernd Scholl likes to add effects of NASA voices to his structures. Here it’s in "Apollo 13" that they occupy the spaces of atmospheres. The structure of rhythm is a kind of a cross breeding between a spheroidal approach and another one bounding which oscillates between Jarre and Daft Punk with effects of fat and nasal chirpings. "Nachtvogel (The Awakening)" is as much delicious as "Theia" and "Nachtvogel (The Birth)". It’s too short! But its flavors flood the first steps of the very intense and filmic "238.900 Miles" which, from the ambient and ethereal approach, gets transform into a good and lento electronic rock that Harald Nies peppers of superb and furious guitar solos. 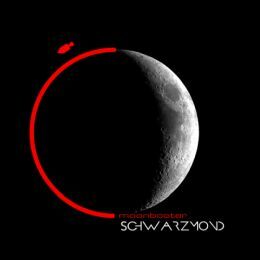 "Daft Moon (Reprise)" is the other side of the décor of the very Techno hammering "Daft Moon" and concludes “Schwarzmond” with a structure of cosmic ambiences which rests our ears of this very good musical mixture (yet, another one) in sounds, in tones and in rhythms of Moonbooter. The only artist who convinced me that the EM of the Berliner style and/or cosmic could get out of its bed without disappointments nor bitternesses. Régulier comme une horloge et toujours fidèle à son style de Intelligent Cosmic Dance, Moonbooter nous revient avec son 2ième album solo annuel où ses beats de danse folâtrent avec du bon rock électronique qui baigne toujours dans des ambiances de Berlin School. Et à chacun de ses albums, si ma mémoire m’est fidèle, Bernd Scholl réussit à nous coller une couple de vers d’oreille entre nos deux oreilles. Et “Schwarzmond” ne fait pas exception et ça commence avec du plomb! Après l’introduction très ambiosphérique de "Praeludium", "Daft Moon" crache son venin rythmique avec des pulsations lourdes dont chaque coup sourd fait bouger un filet de séquences et ses poussières de prisme. Le titre est sans équivoque, c’est un hymne à la danse avec de bonnes orchestrations et une approche très sélective des effets sur une structure de rythme contagieuse. C’est pas vraiment mon genre, mais les amateurs de Daft Punk n’y verront que du feu! Nerveux dans son enveloppe statique, "Deep Breath" apaise le ton avec une structure de rythme qui fera danser nos doigts plus que nos pieds. Tranquillement, après la fureur de "Daft Moon", Moonbooter glisse vers une musique de danse plus accessible aux amateurs de MÉ d’un genre plus rock, plus près des racines de la Berlin School. Petite berceuse morphique avec plein de tonalités d’étoiles lumineuses qui pétillent et flottent dans une enveloppe cristalline, "LuLeLa" est la porte d’entrée de cet univers Moonbooter où les frontières entre la Dance Music pure, le rock électronique et l’ambiant fusionnent à merveille. "Epiphany" ouvre avec un nuage de séquences oscillantes qui palpitent avec une bonne cadence statique dans des effets, on dirait des aboiements de chiens, et des nappes de brume où perlent des voix absentes. Les pulsations basses s’invitent autour de la 57ième seconde, donnant un allure d’hymne de danse et de transe où se greffent de délicats accords harmoniques. Cette phase semi-ambiante se verse dans une structure de danse des années 70 avec des emprises orchestrales qui virevoltent sur les ondulations d’une ligne vrombissante et des percussions claquantes. "Nachtvogel (The Birth)" suit avec un bon passage d’ambiances de Berlin School rétro avec des séquences, qui font très TD des années Flashpoint, qui agonisent dans des vapeurs âcres. Il y a de la tension ici qui se dégage de la structure chaotique et de rodéo qu’est "Satellite", un bon rock électronique nappé de torsades et de solos d’un synthé en mode harmonique qui orne une lourde et bonne approche sphéroïdale. C’est le genre de titre qui laisse ses empreintes dans le fond de nos tympans. "Theia" ouvre la 2ième partie, la plus savoureuse j’insisterais, de “Schwarzmond” avec une solide structure très accrochante comme seul Bernd Scholl est capable de concocter. L’approche est lente et lascive tout en hésitant entre la ballade ailée des enveloppes de brumes orchestrales et un techno morphique idéal pour ballade cosmique. C’est superbe et ça reste entre nos oreilles! Tant que ses parfums se dirigent vers le sombre "The Raven's Light" qui affiche par contre une bonne vélocité avec un crescendo, genre boléro, rythmique au fur et à mesure que les secondes se sauvent du compteur. Bernd Scholl aime bien ajouter des effets de voix de la NASA dans ses structures. Ici c’est dans "Apollo 13" qu’ils occupent les espaces d’ambiances. La structure de rythme est une forme de croisement entre une approche sphéroïdale et une autre bondissante qui oscille entre du Jarre et du Daft Punk avec des effets de pépiements gras et nasillards. "Nachtvogel (The Awakening)" est aussi savoureux que "Theia" et "Nachtvogel (The Birth)". C’est trop court! Mais ses parfums inondent les premiers pas du très intense et cinématographique "238.900 Miles" qui, de son approche ambiante et éthérée, se transforme en un bon rock électronique lento qu’Harald Nies pimente de superbes et furieux solos de guitare. "Daft Moon (Reprise)" est l’envers du décor du très Techno ravageur "Daft Moon" et conclut “Schwarzmond” avec une structure d’ambiances cosmiques qui repose nos oreilles de ce très bon mélange musical (encore?) en sons, en tons et en rythmes de Moonbooter. Le seul artiste qui m’a convaincu que la MÉ de style Berliner et/ou cosmique pouvait sortir de son lit sans déceptions ni amertumes. For the 2nd consecutive year, Moonbooter participates at the Cosmic Night Event, which takes place at the Münster Planetarium in Germany, together with an artist of his own label MellowJet Records. Otarion succeeds Wellenfeld for this event by interpreting 4 titles of his last album while that Moonbooter goes also for 4 selections of his latest album Cosmoharmonics. And a fact to underline, both artists propose also an unedited title for the encores. The whole thing starts with the intense "Follow the Thread" from the German artist Otarion. Ambivalent structure of rhythm where the abrupt phases and others more static, with effects which will remind of the Techno new wave approach of Orchestral Maneuver in the Dark, which go in and go out in a delicate harmonic shroud, this title from the Constellations and the Red Thread album is a pretty good appetizer to this mini festival of Cosmic Dance Music where the first 58 minutes follow in line as if it was from the same artist. So the jumpy beat, the swirling sequences and the vocoder of "Drop", from Moonbooter, seem surprisingly bound to "Follow the Thread". The 2 artists are exchanging the lead following each tracks. If 2 first ones fit marvelously, it’s just as much for the solid "Inspired", amputee of 4 minutes here, and the hypnotic trance spiral which is "Simply Ethereal". And in spite of the very Dance techno approach, the music of Moonbooter and Otarion inhales of lightness by sitting down more on the hymns than on a full excess of effects and pastiches artifices which are too strongly used by the designers of the kind. Both keep also this small floating side of cosmic EM with "The Mysterious" which does very Vangelis and futurist too. The danceable and heavy approach of "The Greatest Mystery", one of the most solid titles of Cosmoharmonics, is more than opportune at this moment of the show. And bound to the explosive, everything is relative in electronic cosmic music, "Reverberation" as well as in the very slow, dense and orchestral "Earth Two", a very good title a la Jarre from Moonbooter; We enter in the pinnacle of this show. And now the presents! The unedited music pieces... "Unpublished", by Otarion, respects in every aspect the very Teutonic approach of the Düsseldorf School that Rainer Klein has groped around in his last album. However, the short duration of the title makes so that Otarion seems to have the hands tied, him who excels at the art to weave harmonies tinted of melancholy on his hymns of Germanic dance. But Moonbooter is capable of making burn a dance floor with his capacity to incorporate the acrid vapors of Berlin School in his rhythms of lead, like in "Like Angels". Let's say that with these 2 unpublished titles, the spectators had to have feet on fire due to skipping relentlessly. Half in earnest, half in jest, my thoughts are always torn when my ears are deafened by the hummings of the pulsations (boom-boom) of the inexhaustible rhythms of dance. If the recipe worked very well the past year with Moonbooter vs Wellenfeld, she is going to take off even more with this last version of this Cosmic Night Event because the music of Constellations and the Red Thread fits more to this event than that of the albums The Wave and Elements from Wellenfeld, highlighting the visions and the complicity of Moonbooter and Otarion. 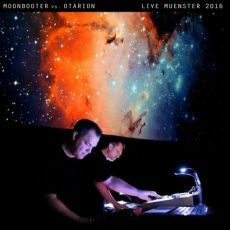 At the end of the day, I had a pretty nice time listening to this “Moonbooter vs Otarion Live Muenster 2016” which ends to be a is a good album of Intelligent Cosmic Dance Music without those perpetual sterile subtleties that makes of it something so useless from times to times! Molded in a heavy curtain of anesthetic mist, "On the Edge of a Moment" has difficulty in making its drums and world percussions heard which dance in synth lines perfumed of a flavor of trumpet, and/or saxophone so much the laments stretch out. The duel between the percussions and the intense esoteric strata obliges the listener to open his ears so much the mass of sound becomes impressive. At times one would say Mark Isham lost in a luciferin jungle where he meets Steve Roach in one finale as dark as his Immersion Series. The impact in a music room is rather intense and addicting. The framework of dark moods remains omnipresent all around “Following the Ether Sun” and it’s necessary to dive in order to hear those good moments here and there which glitter. Like these delicate carillons and this secret melody which pours throughout the meditative ambiguities of "Midnight Rain" where clink some fascinating aboriginal percussions. "Chiaroscuro", just like "Receding Pool" and "Left of the Sky", are passages of ambiospherical delicacy which hide soft passages of split up melodies and as so secret as in "Midnight Rain". I like "Chiaroscuro" which gets closer for me of the Steve Roach's soporific universe. After this delicacy weaved in the atmospheric stitches of "Chiaroscuro", "The Last Technicolor Dream" wakes up in a bed of effects to propose a structure of rather suggestive ambient rhythm with a beautiful and vicious bass line of which the fat undulations are rippling below a thick cloud of percussions and of aboriginal jingles. Winds, and their absent voices, surround this fascinating dance which dives into a short phase of absenteeism before being reborn with all of its charms. A very beautiful title lost in a universe which will know how to charm the risky and insistent ears. "Hinterlands" is a little bit in the same style, but with more luminosity and more Asian flavors in the movement, in particular with the Kushtar, the Japanese harp and the Chinese violins. The introduction of "A River in Retrograde" espouses the slowness of "Receding Pool" but with more luminosity in the ambiences. An ambient rhythm, as intense but less festive than "The Last Technicolor Dream", infiltrates our ears after the door of 3 minutes. Tribal and exotic, the percussions are the bed of charms of this title where shine lines of synth which float such as multicolored clouds. 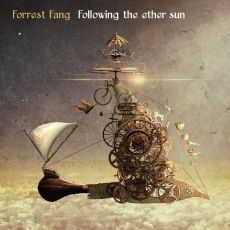 "Left of the Sky" ends this last musical episode of Forrest Fang with a symphony of breezes and hollow winds of which the slow harmonies converge on an intense meditative phase. A documentary music on the drought of the oceans would not be more suited than here where get lost fragments of percussions over an arid universe. 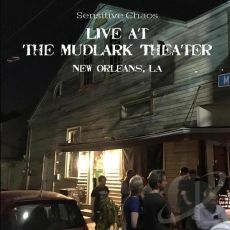 Recorded during a concert at Mudlark Public Theater in New Orleans on December 2016, this last opus of Sensitive Chaos, simply entitled “Live at the Mudlark Public Theater”, is a mini album of 30 minutes where the band of Jim Combs interprets 6 unedited titles while waiting to a consecration for the album March of the Timeshifters being chosen the best album of EM by Zone Music Reporter. "Ghosts of Arabi" presents to us the dark side of Sensitive Chaos with Josie Quick's very tearful violin which tears a dark soundscape plunged into vapors of ether. Thus it’s with a very introspective ambient music, where the curt movements of the violin strings are dancing on its tranquility proposed previously and now resumed by the charms of the synth, that Sensitive Chaos celebrates March of the Timeshifters. The Arabian flavors of "Ghosts of Arabi" are pouring in the introduction knotted of pulsations which shake the very Middle East tribal approach of "Best Bank Second Line". The rhythm is hectic with a skillful mixture between American folk and the Arabian ballads tinted by a lascivious Baladi dance where the hips espouse the slow and idle movement of the violin. Josie Quick's violin remains just as much dominant in "Blues Right Quick" which does not really need a description. That’s Blues, rather lunar and very intimate, that we listen to around a fire which illuminates a night in the desert. Carillons and light tones, "Android Cat Watches Birds" is a very good ballad of Sensitive Chaos’ repertoire. We find there here sound flavors of March of the Timeshifters and of the very seductive Amerisynthecana; one of the very beautiful surprises of 2013. The best is for the end with "Groove Static" which lays down a structure of a very lively minimalist rhythm near to our ears. Hopping and lively, the meshing between percussions and its tsitt-tsitt, as well as the heavy hummings of the pulsations, condemn our feet to follow the drumming of our fingers in very vaporous atmospheres a la Schulze in his years of Picture Music. It's of good old Berlin School where we would have never thought of finding on an album of Sensitive Chaos. With a musical register which transcends the traditional American electronic folk style, “Live at the Mudlark Public Theater”, is a beautiful intrusion in the parallel universe of Sensitive Chaos. The music is very good! She overflies a beautiful pallet of styles, which always made the strength of this rather eclectic group, with an audacious emphasis in the tribal kind of the Middle East and the paths gazified of ether of the old model of Berlin School. On the other hand, this music also suffers from a small lack of relief because the group became an evening trio. I hardly dare to imagine all the depth which would get free of it if Jim Combs brought it in studio with his 6 musicians who make of the Sensitive Chaos universe something rather unique. But the music of “Live at the Mudlark Public Theater” will stay a collector's item for the fans of the group who were not able to have the opportunity to go this very convivial concert of Sensitive Chaos. This Robert Schroeder's new CD risks to please much more than his mellifluous comeback album Brainchips which was released 2 years ago. “SphereWare” is forged with the new synth/sequencer Synthis which reflects the moods of the analog tones even if it’s a digital instrument. And from the first breaths of "Access to Dream", we notice the efficiency of this new software for synths. A floating intro with resounding pulsations propel sound arches, a little like a finger multiplies the waves of a quiet water, at the borders of nice cosmic ambiences. Having skillfully learnt from Klaus Schulze, our friend Robert amplifies his tones on a cozy spatial passage where the pulsations turn into random dance steps over some soft perfumes of Mellotron violins. The fans from the very beginning will appreciate this passage and will for sure make a link between the misty atmospheres of Galaxy Cygnus-A and this intro to “SphereWare” as well as on "Illuminated Signs". "A Quarter of an Hour" offers an approach which is very close to the one we find in the music of Double Fantasy with a groovy movement and its floating tone of guitar. This is a very nice track which has plunged me in the reminiscences of albums such as Computer Voice and Brain Voyager, just like the honeyed "Dancing Clouds". 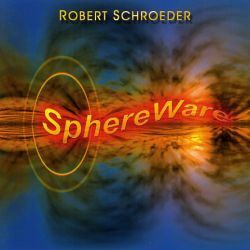 It seems to me that Robert Schroeder wants to go back to his roots of the 80’s with flexible and great melodious electronic rhythms which have followed his ambient era and his Berlin School moods with 9 compositions sat on heterogeneous tempos but all the same rather steady like "Data Stream", one of the good tracks on this cd, and "Solar Panels". Two very contemporary tracks of which the sound effects go quite along with electronic and metallic pulsations of rhythmic structures while sneaking through the soft fluty airs of the Mellotron. Regarding this, "100% Synthetic" is rather delicious with a floating intro which goes adrift on a calm rhythm in order to plunge into a soft techno sat on languishing movements. Stuffed of sound effects, it’s an irresistible title which sticks to our ears from its first vapors. "Flying Saucers" proposes a spatial approach with a choir coming from a Mellotron in mode charmer of senses and from a synth fill of fluid and juicy cosmic solos. The percussions resound with a structured shower and shape a very effective antithesis. The title-track goes for a rather similar structure, but the rhythm is more convincing with cadenced percussions which drum in a moderate techno mode. Once again, the sound effects are multiple and joyous to hear while bringing this need of sound curiosity to our ears willing to hear more of that. One of the most beautiful aspects of EM! Those who thought that Brainchips would have be Robert Schroeder's swan song will have to eat their heart on! “SphereWare” is a very interesting and a gigantic work compared to his comeback album in 2005. It’s an album filled of rich atmospheres where the rhythms abound with rather different approaches but not too much so to not break this homogeneity which reigns all the same in this mishmash of the genres. The sound effects? Delicious and have become a godsend for a researcher in sounds who will fill our ears to the top during his long career. But as usual, the music of Schroeder has to be tamed in order to lick the senses…and the genres. It’s an EM updated where each listening is a token of new hearing surprises to be assimilated, testifying of an impressive work which increases its charms as we discover them. Metallic jingles, buzzing shadows and hits of hammers! Then an appearance of peaceful life with songs of birds and children's shouts which get lost in these floating strata of a lap-steel guitar which stole to the synth all of its spectral airs. "The Fading Shore of Memory" sets the tone to a suite (awaited?) to What We Left Behind. The atmospheres are gloomy with a dive in the effects of fiercely enveloping drones, effects of rustles that we hear in the form of a metallic rain as well as these lengthened lamentations skillfully structured with in the union of the lap-steel and the synth. Certainly, there are some movements of rhythms, as in the opening of "Night Seas Luminesce". But that remains very shy and a piano absorbs these scattered knockings with an incredible delicacy for moods so black. In fact, everything is very ambient in “Vestiges”. Except that Robert Rich handles pretty good the art to seize our attention by plunging us literally into his very post-apocalyptic territories of “Vestiges” with skeletons of melodies modulated by a piano which mislaid fragments almost everywhere around "Night Seas Luminesce" in order to drive us to the pinnacle of the 1st part of this last Robert Rich's album with the fall of the angels which rages around the first minutes of the very intense "Spectre of Lost Light". The atmospheres are deeply hollows with a heavy nimbus of drones and of celestial voices. Voices which little by little reduce the scale of these buzzing drones raging since the transfer for a form of sibylline layers which made obstacle to the memories in "The Fading Shore of Memory". These voices are like a sound mirage after a tormented night in the labyrinths of hell. They bewitch us and calm these obituary atmospheres which passed by surrounding walls of its introduction. The last minutes of "Spectre of Lost Light" transports us towards a fascinating duel between these voices and these drones which bicker in an ambience to make raise our goose bump up until the oblivion absorbs them. Very intense for a finale! The second part of “Vestiges” begins with a symphony of hollow winds and of sibylline voices of "Obscured by Leaf Shadows". Like the bass line, the piano crumbles a repressed thought while some effects add to the Mephistophelian dimension which takes "Obscured by Leaf Shadows" in order to bind itself to the dark "Equipoise and Dissolution". In a void, the carillons ring in the breaths of a bass, which little by little wakes up as a threatening volcano, and in some beautiful fluty layers. "Reborn in Brackish Pools" sounds and looks so out of place in the very dark universe of “Vestiges” with a leak of more translucent layers which overfly and watch a rower who escapes towards "Anchorless on Quiet Tide" and of its very sad piano which extricates itself from the depths of an introduction sewn of black silk. These notes shine as fruits of a carillon in a very meditative structure and forge a melody which frees its vapors in this shroud of smothered voices and of ethereal layers of which the peace of mind suits so well to this nostalgic piano. And quietly the slow ballet of drones resurfaces, as well as these chirping which fed a part of the misty memories of "The Fading Shore of Memory". The loop is thus looped! 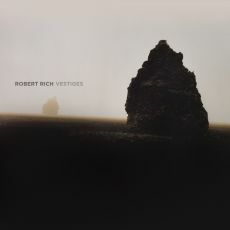 Between the fear of forgetting and the torture of remember, “Vestiges” is a purely meditative journey in the fertile imaginative soundlands of Robert Rich who succeeds very well to put in music the reliefs of his post-apocalyptic vision of a universe on the edge of recreate itself out of its memories. It’s a fight between the end of a man whose life is torn between the oblivion and its memoirs. And if we approach it in this way, in fact it’s the only one, we understand quite the dimension of this uneven fight. For fans of dark atmospheres! With such a massive amount of music, it’s almost impossible to not meet structures which are alike as much that we can confuse a title with another one, a rhythmic approach with another one. The important, and this Indra seems to have seized it, it’s to know how to decorate the whole thing with adjacent movements of sequences that melt down again the bases and lead the listener towards another level. It's exactly the principle of this gigantic series of Indra. Written in 2007, the music of “Gold Two” is like a farewell to the minimalist rhythmic approach of the Rumanian musician by proposing more evolutionary structures and in the end more ethereal, with the exception of "Hypnodance" which again starts the Indra magical sound world in beauty! Bass sequences pound nervously in a phase of rhythm deliciously disassembled. Winds of ether and electronic allegories blow on this movement of sequences of which the rotation of the keys make our fingers drumming. Felted bangings and a pulsing bass line get in this spasmodic ballet which moves forward with more swiftness. These bangings, which resound like clacking from cyborg’s hands, decorate the minimalist phase of "Hypnodance" which quietly goes to a good morphic techno. The signature of Indra shines in his convoluted patterns of rhythm from where get form generally rhythmic skeletons in parallel otherwise which change downright shape and/or orientation. And it’s the case here! While an immense wall of amber layers smothers a possible overflowing of rhythm, "Hypnodance" takes refuge in an isolated structure with keys which skip on the spot around the 10th minute. A more inviting structure to a dance of feet, our ears comfortably riveted to our earphones, extricates itself from this pond of gas iodized with a convulsive dance of sequences which skip awkwardly under the arcs of good synth solos. A synth moreover rich in effects which blow on the finale of "Hypnodance" and its structure which navigates between phases of solid rhythms and others more ambient. The introduction of "Sacred Hall" will plunge you into a state of meditation. A delicate structure of rhythm evaporates this effect with a strain of sequences which skip while climbing a long slope of which the upward curve seems so linear. Effects of gaseous percussions fool the ear, like a change of scene fools the eye, while "Sacred Hall" ends its rhythmic crusade in a luxurious astral finale. Star-spangled of multiple cosmic effects, the rhythm of "The Wingmakers" pounds weakly between these effects and synth layers which float like gases of ether. We dive literally in the good years of Klaus Schulze who was second to none to put to sleep our senses with a rhythmic melodic encircled by an immense veil of anesthetic mist. Everything is honeyed, everything is purely electronic of the vintage years. The 2nd part leads us towards these heavy and stroboscopic rhythms that Schulze used to sculpt in the TDSOTM years. But that always remains very deliciously electronics ambient with these layers of voices and these clouds of drizzle which surround the soft swiftness of "The Wingmakers" which is the big title of this "Gold Two". "Celestial" wears well its title! It’s a symphony for interstellar travelers which unifies to the movements of weightlessness of its travelers. It’s slow and morphic while being filled with sound effects worthy of EM and the eternal sound fountain of youth for ill-assorted tones. The slow orchestral sighs make of this title a magnetizing movement which brings us to the arms of Morpheus, even if sequences ring and inhale a movement pulsatory which will give the necessary momentum so that "Celestial" reaches its finale. Always intrigued by so many charms in so much music, I always wait to hear the first faux pas of Indra’s Archives Series. Except that it is the opposite which seems to occur. The more we move forward and the more we discover beautiful pearls, as here. 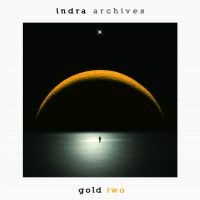 Maybe a little less solid than “Gold One”, but by not much, “Gold Two” has of everything for all the tastes for the fans of the style of Indra, of Remy, of Klaus Schulze and the others.